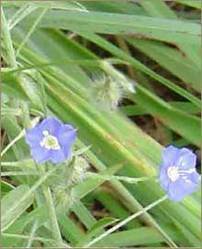 Common Name : Dwarf Morning-glory, Shankhpushpi, Shankhahuli. Habitat : Commonly growing throughout india and also cultivated. Uses : It is helpful in nervous exhaustion, memory loss, nootropic agent, general weakness, loss of memory, scofula. It is used as rasayan. The leaves of Shankhpushpi are used in treating chronic bronchitis and asthma. The root is used for childhood fever, and the oil stimulates the growth of hair. Using the whole plant in the form of a decoction with cumin and milk is used to treat fever. This herb is still a preferred method for reducing symptoms associated with anxiety, panic attacks, nervousness and insomnia. It is useful in urinary disorders and hypertension. It improves brain function like memory & concentration.